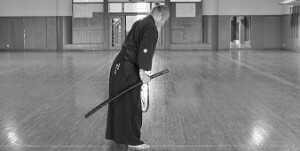 oday I decided to launch this new site as an info service for those up for books on technique, history, tradition and culture of Japanese Budō & Bujutsu. I collect rare Japanese books on martial arts. More than once I experienced how rare books come and go, and it is necessary to actively watch the market and take chances quickly. Depending on the book itself, there’ll probably no second chance. I am talking about collector’s items. I am quite aware that this is a broad field of interest. After more than 19 years of diligent training and traveling I am graduated Yûdansha 有段者 in Matsubayashi-ryû, Okinawa Kobudô, Hachiman-ryû Jissen Battôjutsu and Mugai-ryû Iai and Ryûkyû Kobudô Hozon Shinkôkai. I visited Japan for the first time in 1999, visited okinawa 4 times, the last time I stayed in Okinawa for 1 & 1/2 years. Additionally, I also have more than fifteen years experience in active research on Budō & Bujutsu and related sciences as well as in international trade. Right now I live and train in Düsseldorf, Germany.